Jennifer was looking for Bay Area Baby Photographer for her son Ethan, when she found me on Yelp. 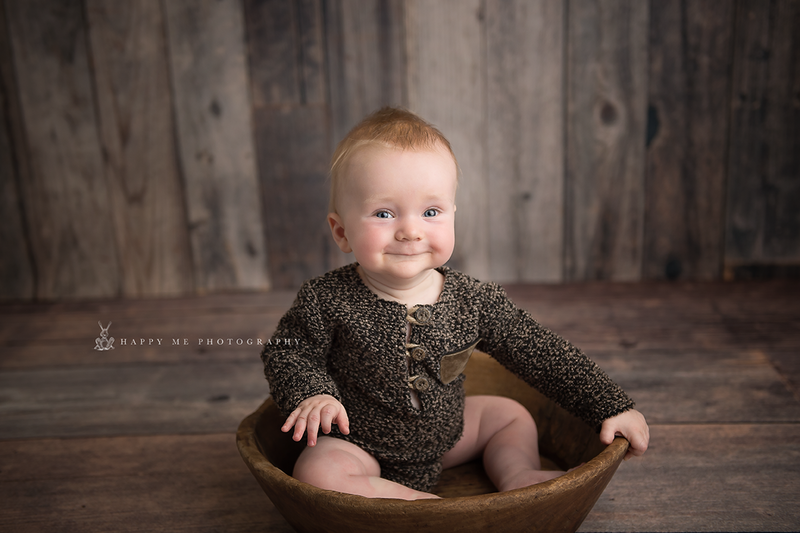 This handsome little one is already seven months old, and is able to sit unassisted. We arranged for our session to take place in my Bay Area studio, where I have plenty of props on hand for use in the photos. 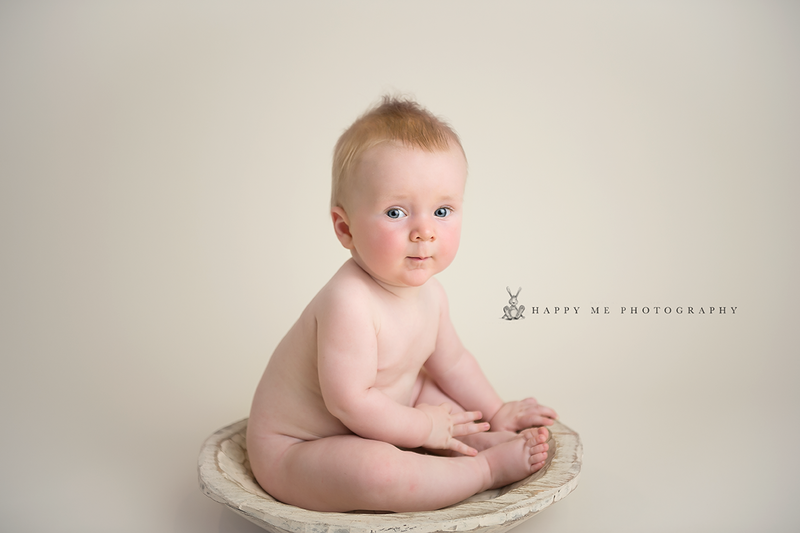 I have such a special place in my heart for photographing babies and children. 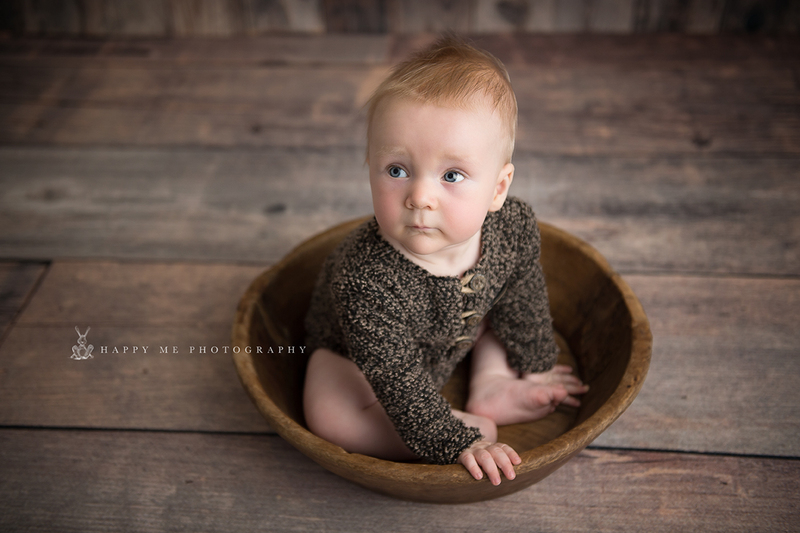 Their newness, their innocence, and capturing their unique personalities to preserve for their families has truly been my passion. 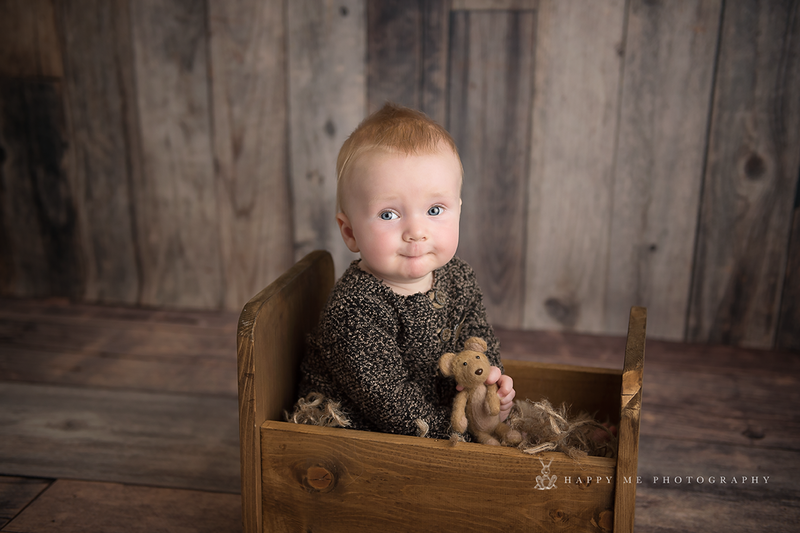 Because Ethan had such pink cheeks, soft red hair, and such bright blue smiling eyes, the props we selected were more neutral and rustic which allowed his personality to come through. 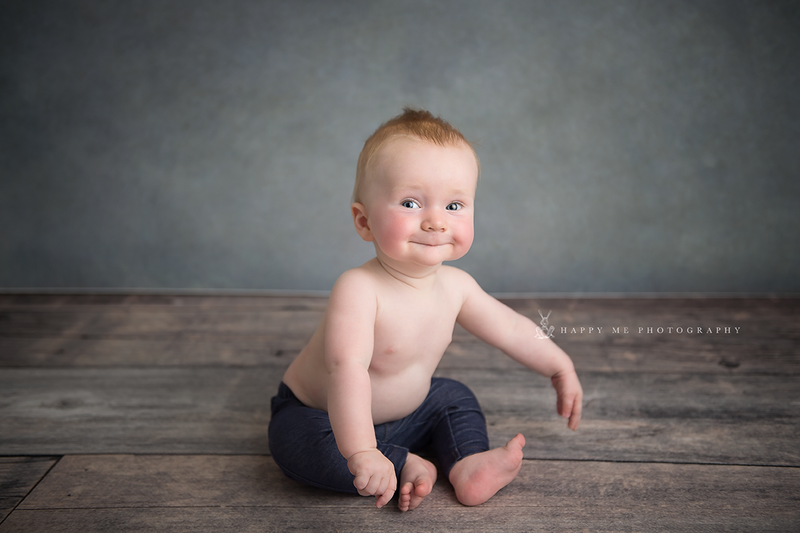 You can almost wonder what he is thinking when you look at that coy little smile! I could have spent all day laughing and giggling with him! 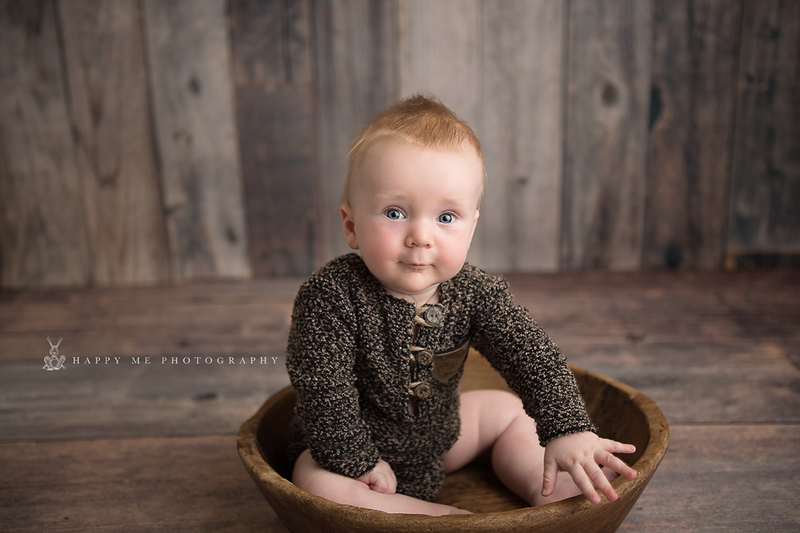 This little boy was so agreeable and happy as we had him photographed in three different looks: a handsome brown sweater, classic denim jeans, and au natural! 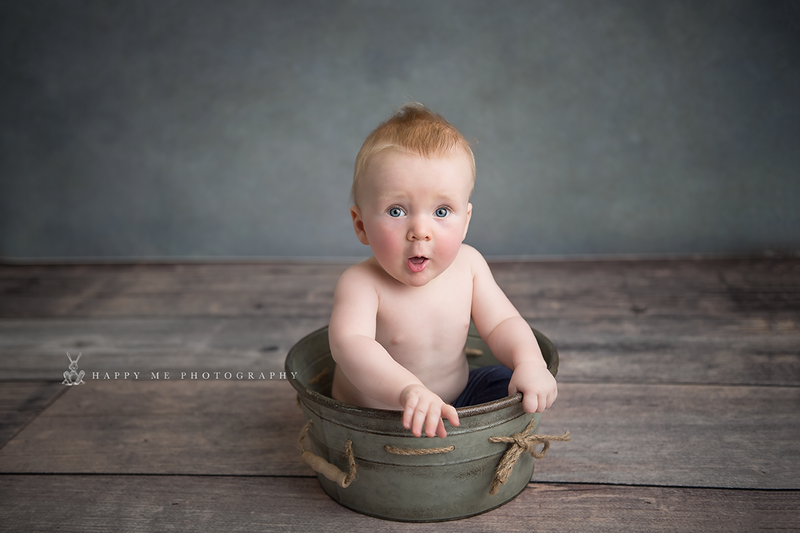 How can you not love that adorable little baby bottom and his cute tummy in these photos? The props were provided in my studio, and many of the pieces I make myself with extra love and care for a special touch in the sessions. 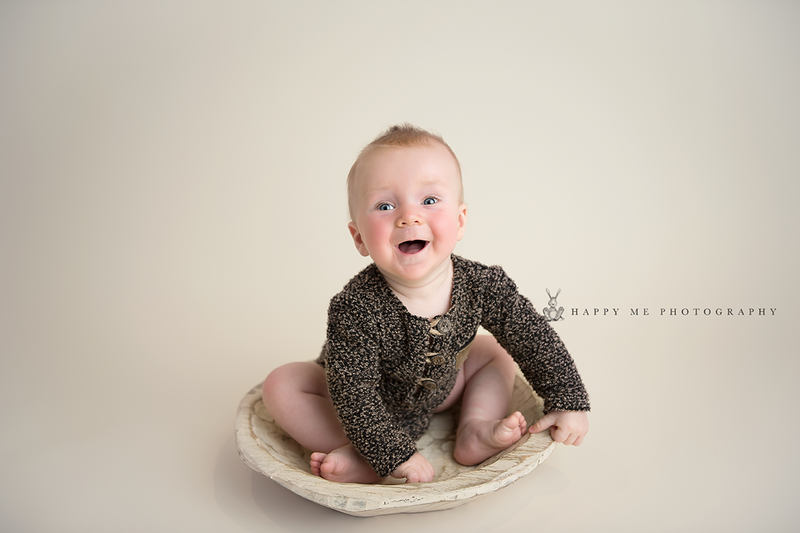 These sessions are ideal for babies up to 10 months and they are a great way to capture milestones. 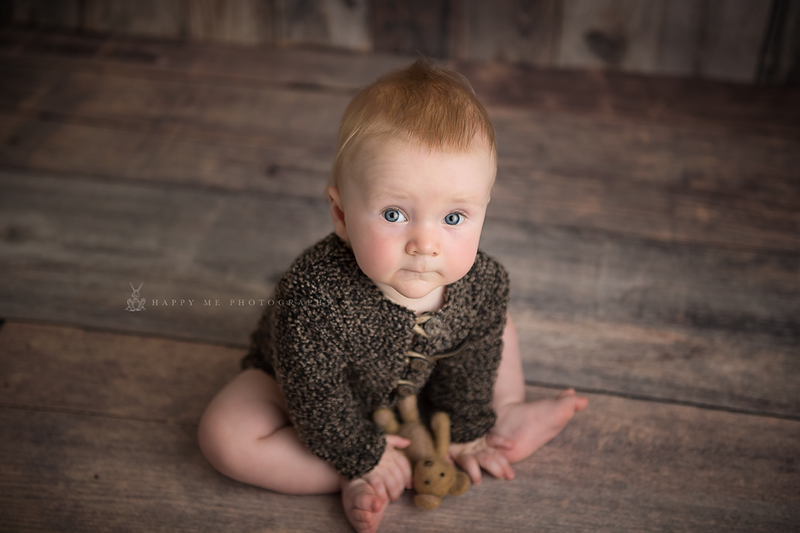 The best time for a baby session is when babies are sitting confidently and without support. 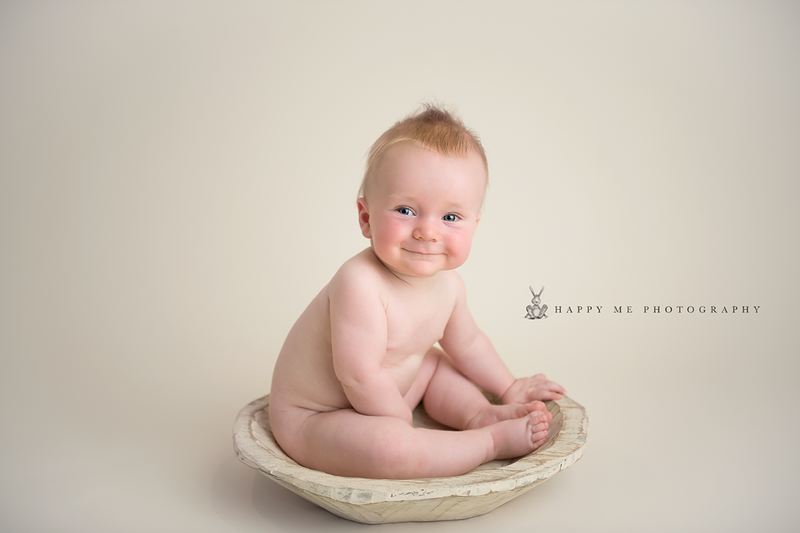 The main reason for baby to be able to sit unaided and confidently is to allow us to use some props such as bawl or crate. For these images I always ask that a parent sits close to baby to ensure the are safe at all times. 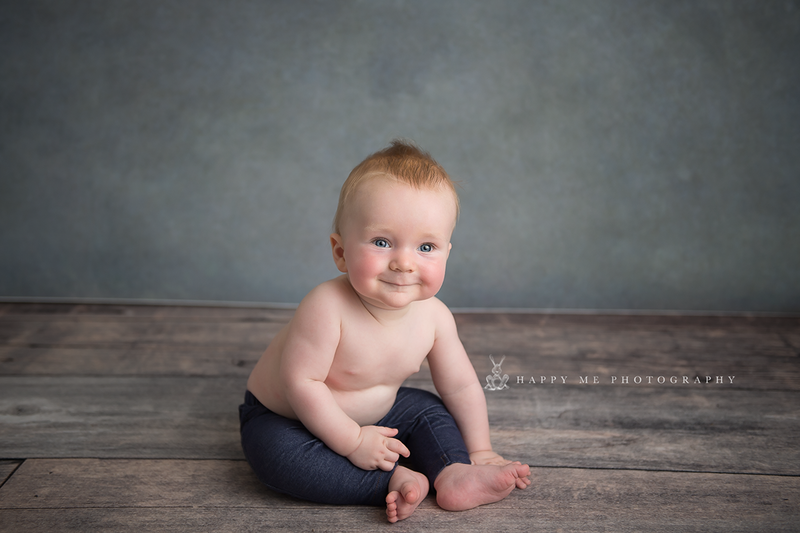 Baby and sitter sessions are perfect for babies aged ideally between 6-9 months when they are not yet crawling or walking .